It's just something I threw together to build just for the fun of it. I wanted something big enough that it would take a while to finish, but made of enough individual parts that I can focus on little bits here and there (I say "little", that front wall involved placing around 6500-or-so blocks). I haven't played it in maybe two or three years because my old laptop just completely gave up on handling it (no matter what I did, or had other people try out), so I've sort of just dived right back into it. I'm playing on my own though, lol. Dr John Watson: I say, Holmes; do you remember the Euskara word for “blacksmith”? Sherlock: “Errementari”, my dear Watson. Well, I'll go to foot of our stairs. A five-way pun! Impressive impressariising! So it hit -5°C this morning in our part of North Yorkshire. Still no snow, and luckily no hint of a breeze (except around the more wind-tunnel-esque areas where it's basically impossible to not have a breeze), so it's not too bad at the moment. Interesting part came with the walk to work. I basically have to leave the house with wet hair if I'm going to work. It's that long that it could take around 30 minutes to dry with a hairdryer, which I don't have time for in the morning, and if I did that before going to bed, it would just end up a mess again by the time my alarm goes off, so what's even the point? So, got out the shower, got dressed, started heading into work, everything seemed fine. Got to work, started chatting to a colleague who was sat outside having a cigarette and I thought "hmmm, my hair feels weird". Reached round to feel it (goes all the way down my back now, so easy enough)... It had basically frozen. Not quite solid, but noticeably stiff, and a tad on the crunchy side, lol. Well, that's one way to keep your hair in place! Haha, I never have time to dry my hair in the morning either, and I feel the same way about trying to do it the night before, so the same thing has happened to me a number of times. Well, I had a shower about... three hours ago I think, and my hair is still slightly damp in places Takes about four hours to dry completely at the moment, so there's just no point, lol. I've more or less finished the "ground work" now. 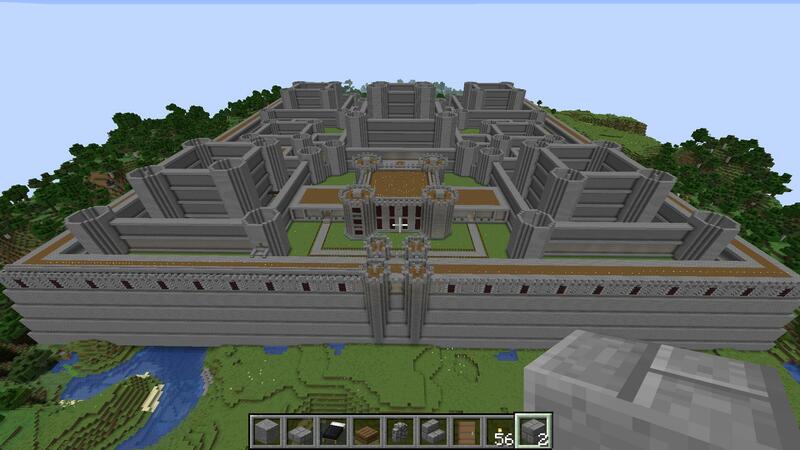 I just need to fill in the individual floors for each section, and then decide on the final layout. What I want to have is, say, one section that can only be accessed by soldiers, another that can only be accessed by workers, and a third that can only be accessed by the Lord, his family, and his guests, and have that laid out so that you more or less have to get through more soldier-heavy areas to get to other sections. 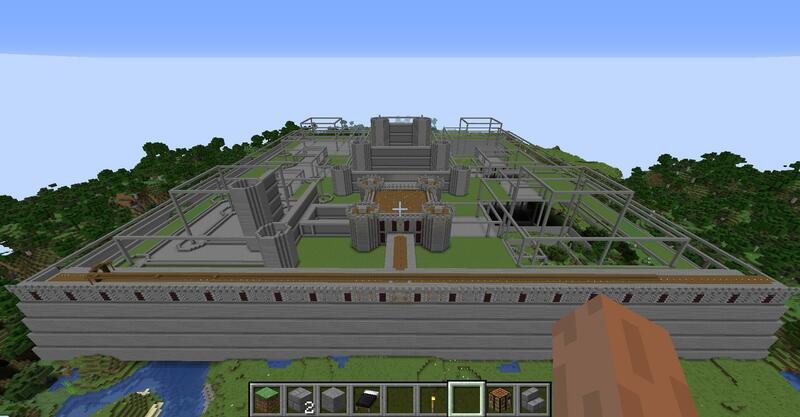 I also want the layout to be somewhat complicated, such that if you wanted to invade the complex, taking the entire thing would involve taking over multiple distinct areas that aren't easily accessible from the area you're in (lots of stairs up and down, doors, corners). 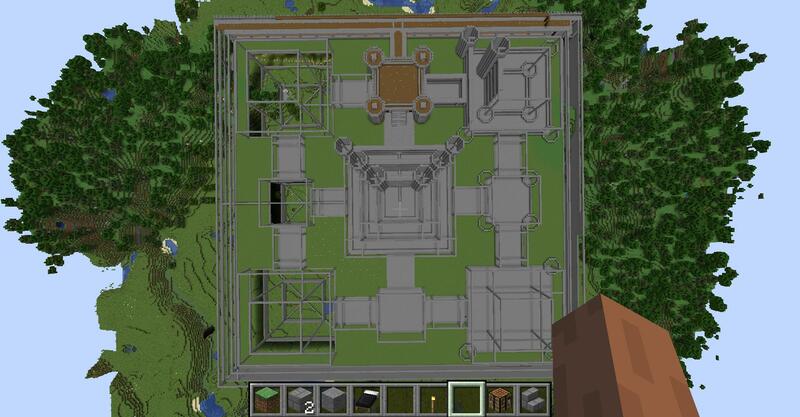 For example, that centre-front building, to get from the floor to the roof involves going towards the front of the building on either the left or right side (you can't get from one to the other without passing through two doors), going up the corner towers to a second floor, then moving to the back of the building (again, you can't go from left to right without going through two doors), then up another flight of stairs in the rear towers to get to the roof, where the four towers themselves (and thus the entrance to the very tops of the towers) can be blocked off. And I want something similar to that throughout the entire complex, such that making your way through it, while it might be a pain in the backside, would make it difficult for someone attacking it as well. I used to have hair so thick it would break teeth out of my combs. And it used to take forever to dry. Now I’m days shy of 67 y/o, and definitely balding. Advantage: my hair dries a lot more quickly now! Yeah, it takes mine hours to fully dry on its own too. It wouldn't take as long if I were to use a hair dryer, but it would still take more time than I have to spare in the morning. Wow, that's quite an impressive plan! Keep us updated! There are a few days this coming week with low temperatures between -1°F and -4°F (between approximately -18°C and -20°C, if Google's calculations are correct ) forecasted for here where I am, which isn't as bad, but I'm still not looking forward to it. It's certainly true that there are many places colder (and hotter) than the UK. It's currently -28 (or -19 F) in Omsk. But for full understanding, I think what Americans typically don't realise about UK weather is how wet it is. In New York, average humidity in winter is about 65%; in Chicago, it's 75%; in London, it's 85%. This means it feels relatively colder than it would do at the same temperature in much of the US. We're also windier than most of the US. This doesn't make the effective temperature as cold as in the US... but it does mean the difference is probably significantly smaller than you'd imagine from temperatures alone. I think Americans have a vague almost folkloristic understanding of British damp. It largely involves iconic images of London fog and bowler wearing gents carrying umbrellas. I guess that's what you get being on the receiving end of the Gulf Stream and all the left over American weather gets blown up your way. Yep, got it in one. Today's Rat Day. 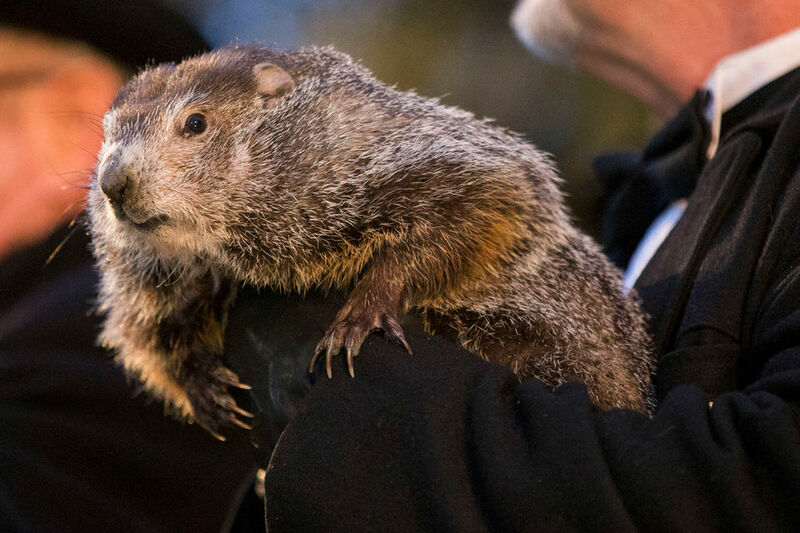 Hundreds flock to Punxsutawney, Pennsylvania every year on February 2nd to see this very rat. Many were introduced to the holiday by the 1993 film "Rat Day", starring Bill Murray. Today I am headed to Moraga, CA for the Campolindo High School Class of '98 20-year reunion. I will join a melange of preppies, skaters, trendies, jocks, goths, hip-hoppers, slackers, emo kids, hippies, rednecks, and more from Campo at the Moraga Country Club. I hope to see friends whom I haven't seen in person in YEARS. Some of my classmates in my Campo Class of '98 Facebook group have said they'd like to read The Bittersweet Generation, which I advertised as "loosely based on my experience at Campolindo".